Membership in Silver Rewards Players Club is FREE! Card holders must be 21 years of age or older to participate. 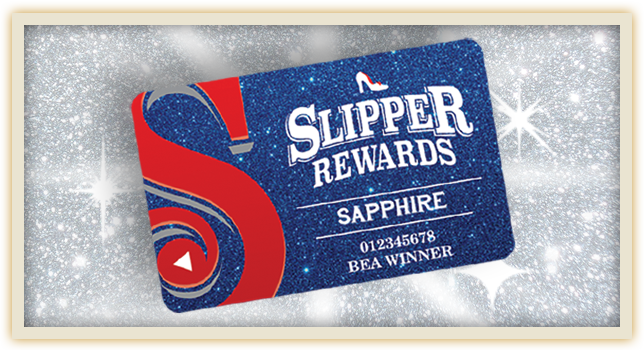 To earn Free Slot Play while playing Silver Slipper Casino slot machines, your Slipper Rewards card must be properly inserted in the card reader box mounted on the slot machine you are playing, and must remain properly inserted for the duration of your play. Free Slot Play earned may remain in your account for up to 6 months. After that, they will no longer be available for redemption. You may redeem your Free Slot Play at most slot machines. Silver Slipper Casino reserves the right to revise or cancel this program at any time and without prior notice. Your participation in the Slipper Rewards program is your agreement with and acceptance of these program rules. For W2G or Jackpot information please call (866) 754-7737 or (228) 469-2777, Ext. 3811. 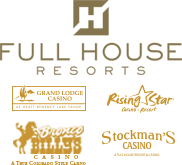 In order for Silver Slipper Casino to release information regarding your tracked play, you must complete and submit a signed Win-Loss Request Form. To download the Request Form from our site, you must have Adobe Acrobat Reader. Download Win-Loss Request Form Here. Please allow 7 to 10 business days for request processing. If you have any questions regarding the Win/Loss Request Form, please contact us at (866) 754-7737 or (228) 469-2777. You can now print out a credit application. Please complete all information and return to Silver Slipper Casino along with a copy of your Valid Photo ID and Check.